The Fifth Beatle – Run. Ride. Roam. 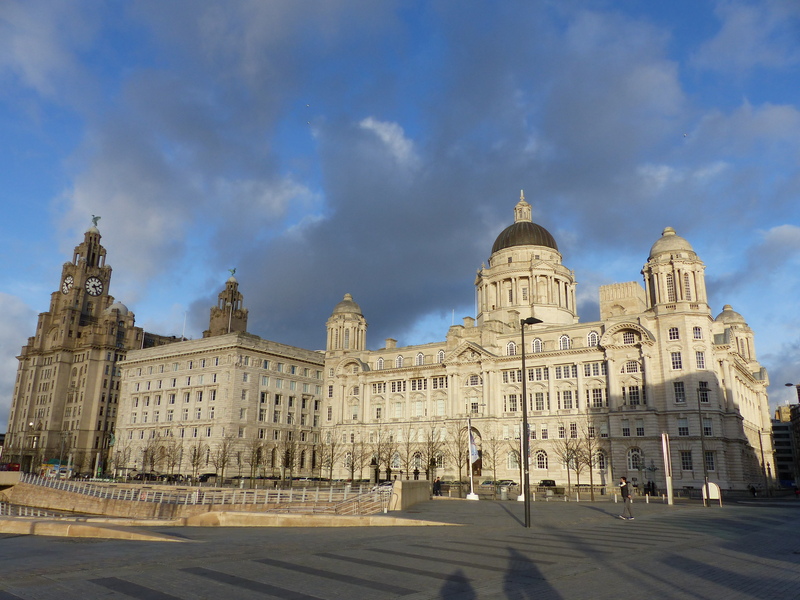 A day exploring Liverpool. A day for Steve to journey to his own Mecca. A day for the Tasmanian fifth Beatle. 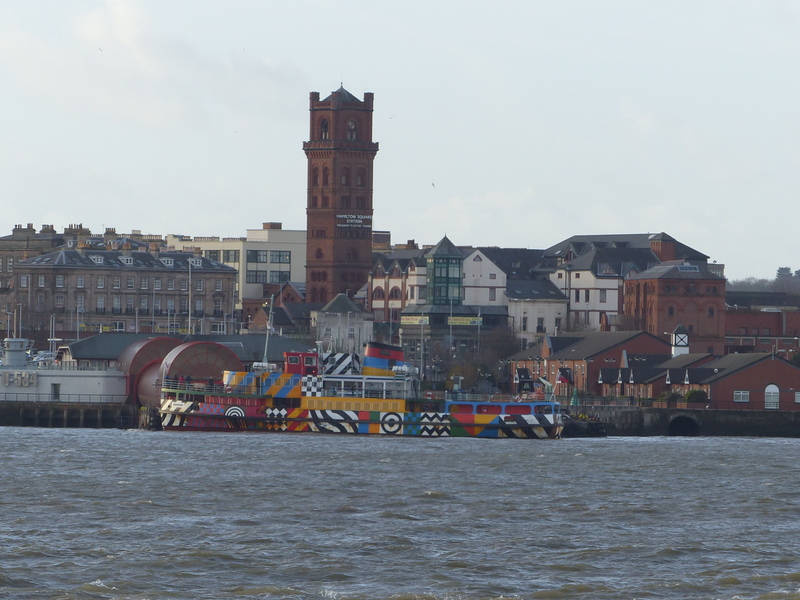 She’s got a ticket to ride… on the train from Hoylake into the big city of Liverpool. We walked down the street and into the little train station, boarded the speeding metal tube and we were on our way to Beatles territory. It was a half hour trip but my entertainment on the journey was watching, as discreetly as I could, the beauty routine going on a few seats down from me. It was quite impressive. A girl boarded and proceeded to remove a large makeup bag from her small wheely case, opened it and began her routine. I don’t wear makeup, so I’m not sure what everything was and what it did, but first came a huge brush and a tin of powdery something. She opened the neck of her jacket, wiped the huge brush around the tin and began swiping and brushing the powder around her neck and chest. The tin stayed out (just in case top ups were needed I guess), but then she dived back into the big makeup bag. Out came a hand mirror and an eyeliner. This was very impressive. As the train rocked and swayed along the tracks, she deftly applied liner to each eye, put the lid back on the pencil, replaced it in the bag and chose the next pencil. On went the eyebrows. With the assistance of the hand mirror, she carefully applied eyebrow pencil to her perfectly arched brows, before replacing this back in the makeup bag. This went on for some time and I was torn between thinking “You are so clever girl! That is some skill you have there, to do all of that, while sitting on a train, balancing everything and brushing, drawing and lining parts of your face, without leaving a wayward mark anywhere. Impressive!” That thought was interchanged with thinking, “Mate, just get up half and hour earlier and do all that at home for heaven’s sake, in the comfort of your own bedroom and mirrors!” She eventually hopped off a few stops later, perfectly beautified for the day ahead. 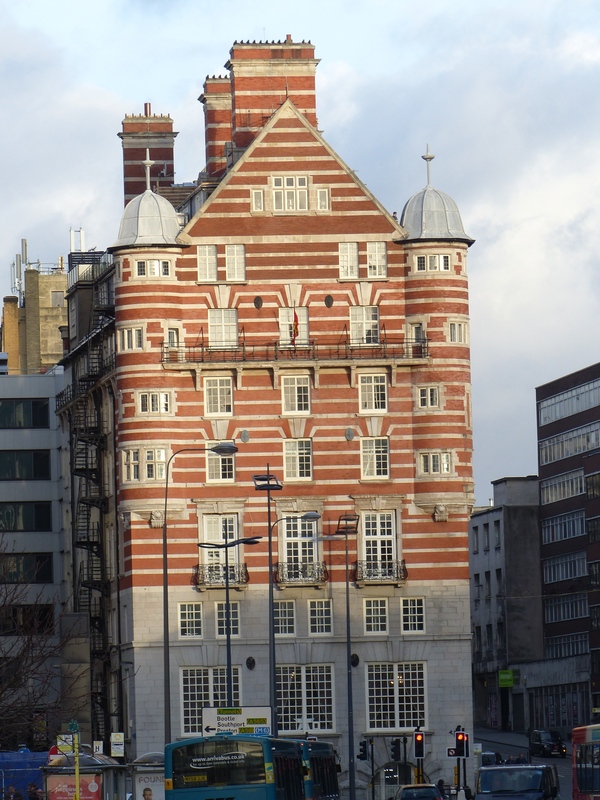 We continued on and hopped off at James Street, Liverpool. The long and winding road that leads to …the Beatles Story, a museum that told the story of the Beatles from their humble beginnings as school chaps, who got together to sing at a community fete, before becoming the global phenomenon that they were and still are. 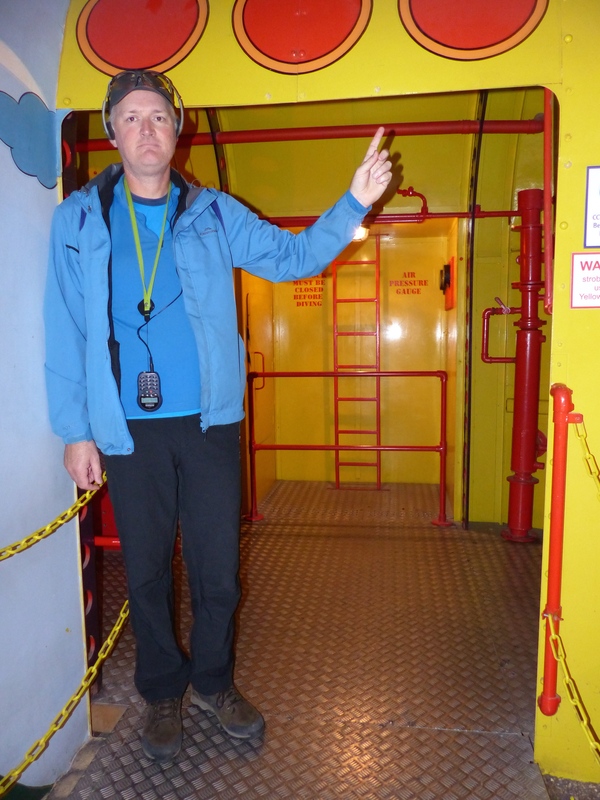 We strolled around the rooms, reading the story of the group, their recordings and life inside and outside the Beatlemania juggernaut. There was lots of memorabilia to look at and Steve was in his element, seeing items, information and images from the mega group he knows and loves. The exhibits ended with the post-Beatle story and what each of them did after breaking up. I thought that was the most interesting part and was reminded of the fantastic, philanthropic work done by Paul McCartney and the time George Harrison spent using his love of gardening to restore the grounds of a historic home. 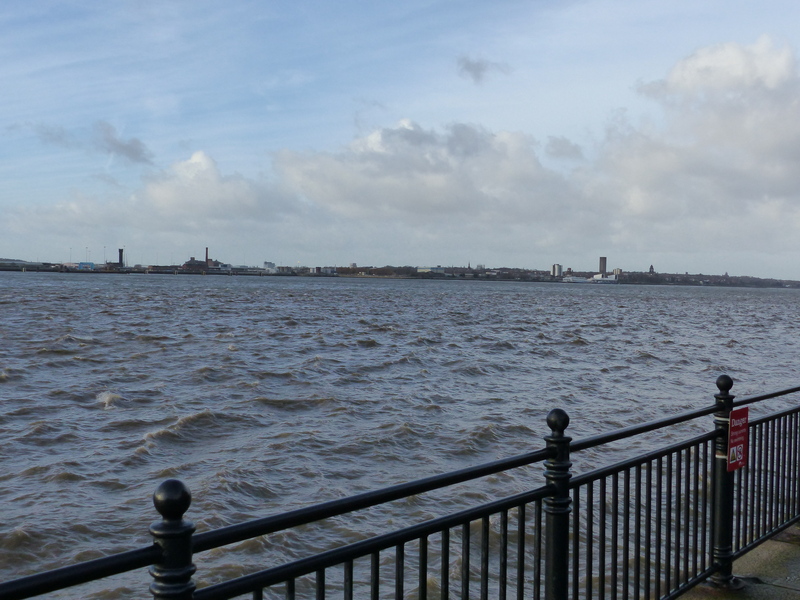 After a few hours of reading and Beatles-focused learning, we wandered back outside into the chilly and windy day, to stroll by the Mersey. 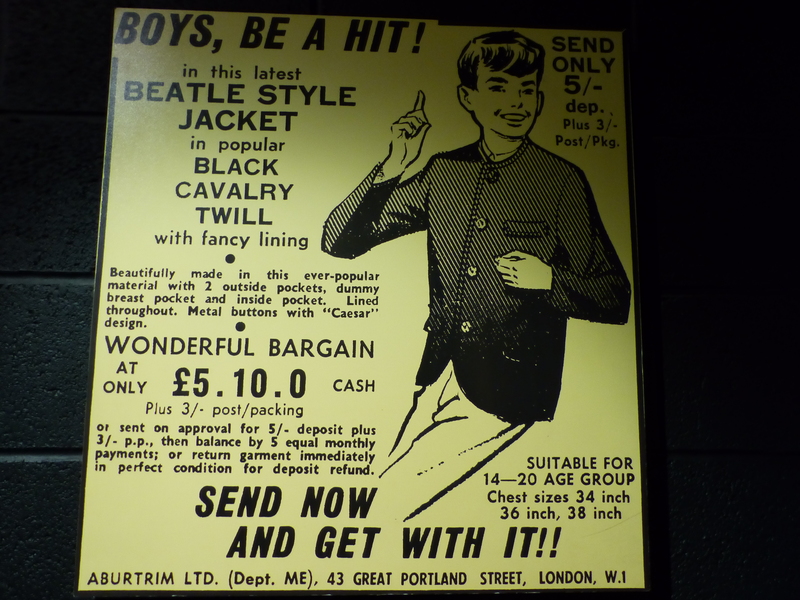 I loved this advertisement because I loved the idea of having a jacket that would help me “get with it”! 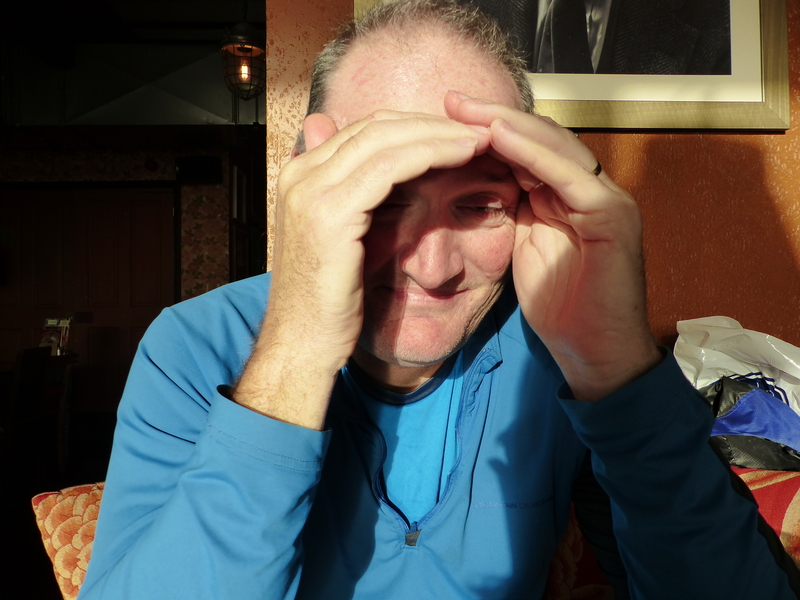 Help, you know I need someone, help…because the wind was giving me a mighty hard time! It would be a bumpy crossing! 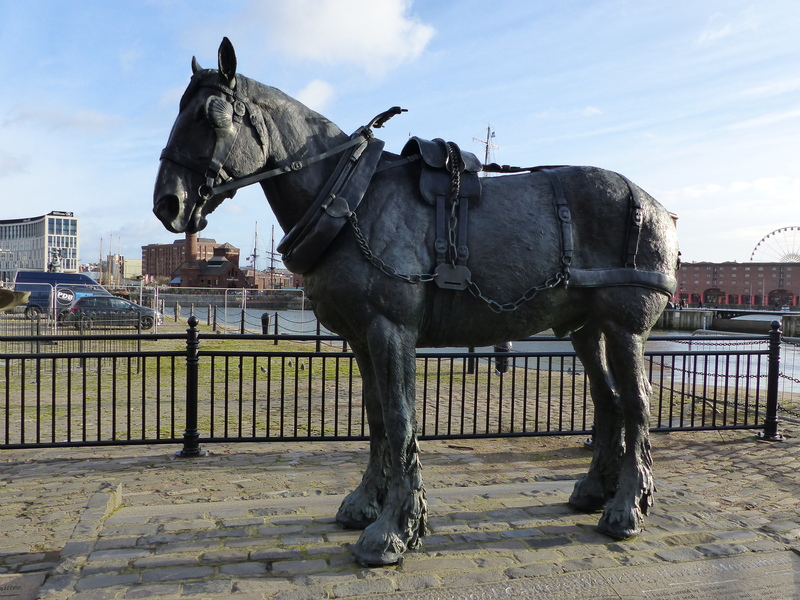 This was a monument to commemorate the 250 years service of all the working horses of Liverpool. The horses were used to haul goods between the docks and warehouses in all weathers and at the peak, there were more than 20,000 horses working on the streets of the city. What’s that yellow thing? It’s burning my eyes! After our nice lunch, we continued the Beatles day at the ‘Fab Four 4D’ experience, which was an animated film in 4D, with Beatles songs. We sat on seats that moved, with our funny glasses on, watching the film in 3D, while getting the 4D experience from the water that splashed on us as the bus drove through a puddle, the smell of strawberries as Strawberry Fields played and the bubbles that floated onto us and burst in our laps when the bus dove under water. All a bit of fun! 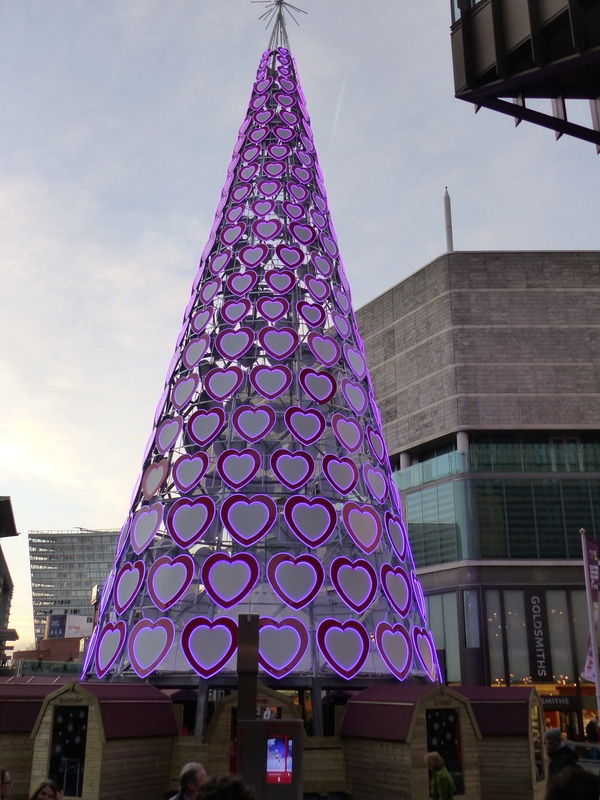 Steve had successfully completed a day of Beatlemania, so we finished off with a bit of a stroll around the streets, with the lovely Christmas lights. Get back to where you… caught the train. We strolled back to the station and joined the small crowd waiting for their own commuter experience, then we piled onto the speeding tin can again and hurtled back towards our stop at Hoylake. 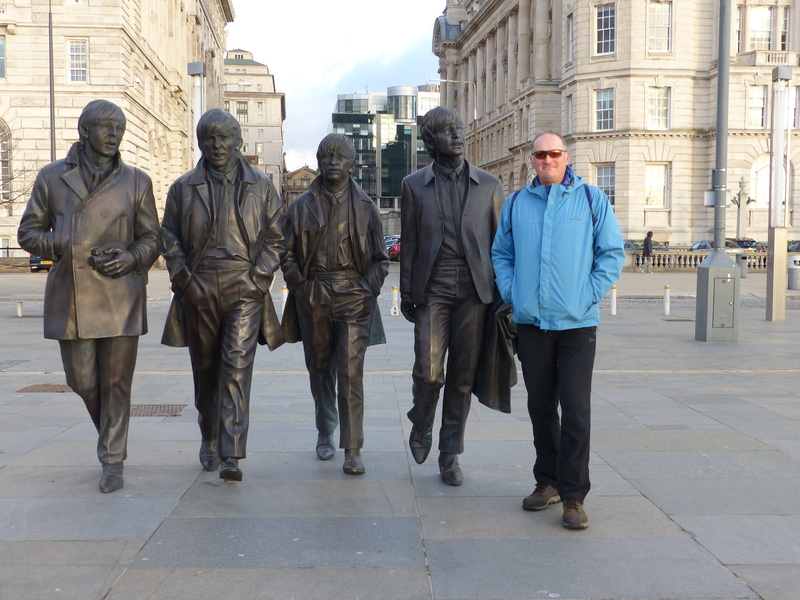 Day tripper yeah…We’d had our day trip to the metropolis of Liverpool and Steve had finally walked the streets that were once the playground for Paul, George, Ringo and John. Another memorable experience. 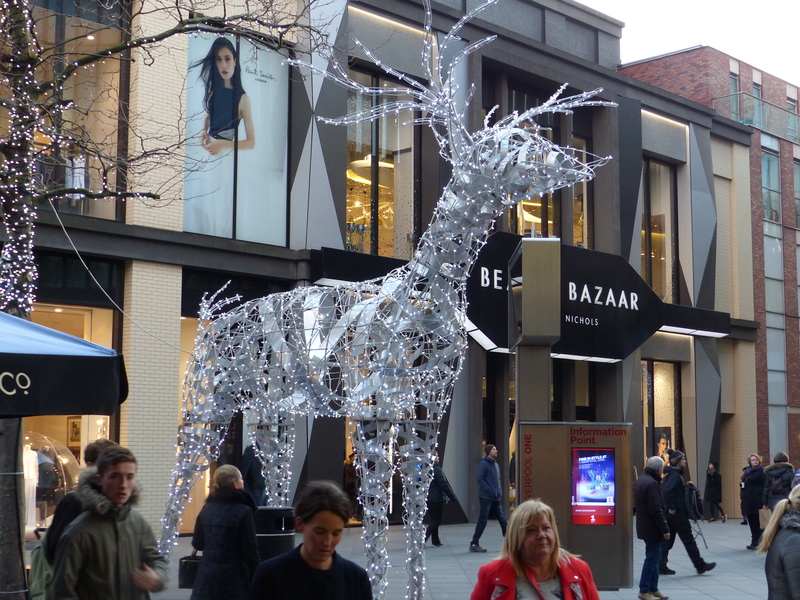 Liverpool was a nice city, it was actually fairly quiet and not the really busy, crowded, noisy place I was expecting it to be. The docks area was really nice and even though it was really cold (layers of t-shirt + thermal + jacket + puffer jacket + mega knee length puffer jacket type cold! 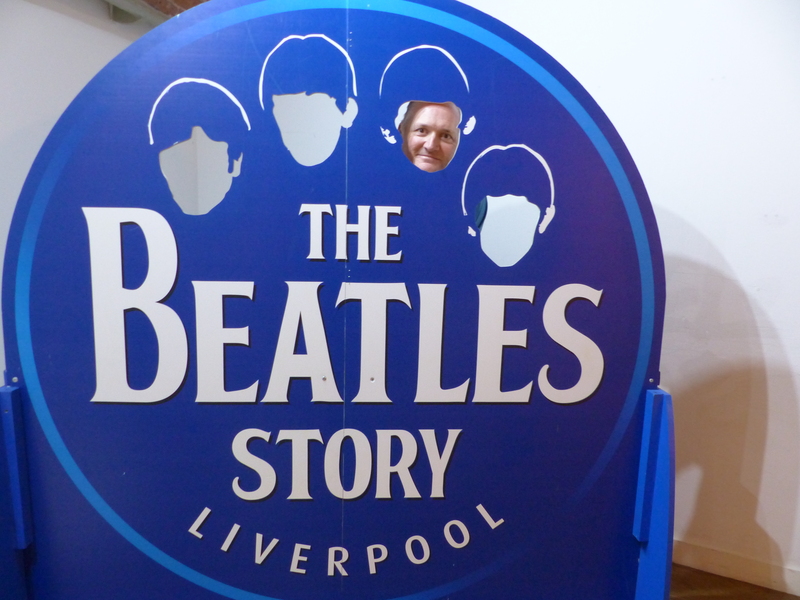 ), we had a great day of roaming, as well as learning and revisiting the story of the Beatles. It was a day for Steve and it was a terrific day. 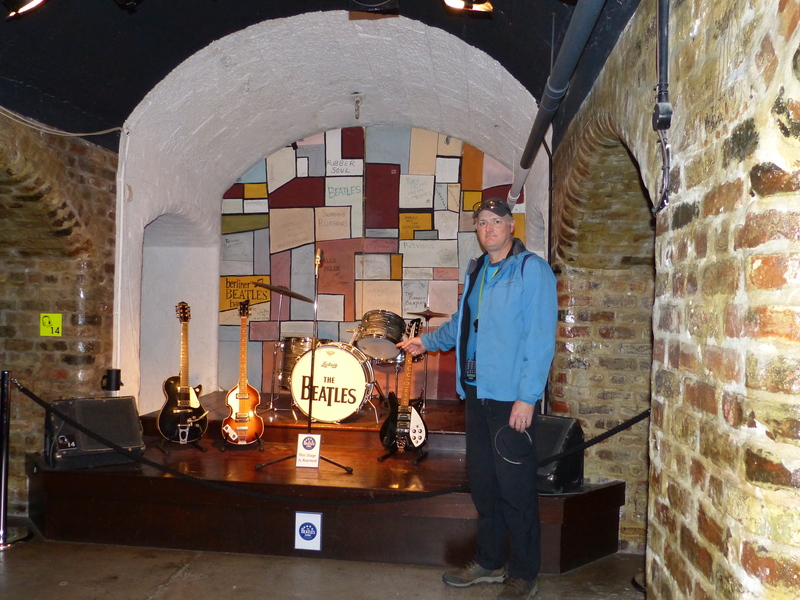 Now he’s walked across Abbey Road in London and been to the home town of the Fab Four. Brill! Breeyant! 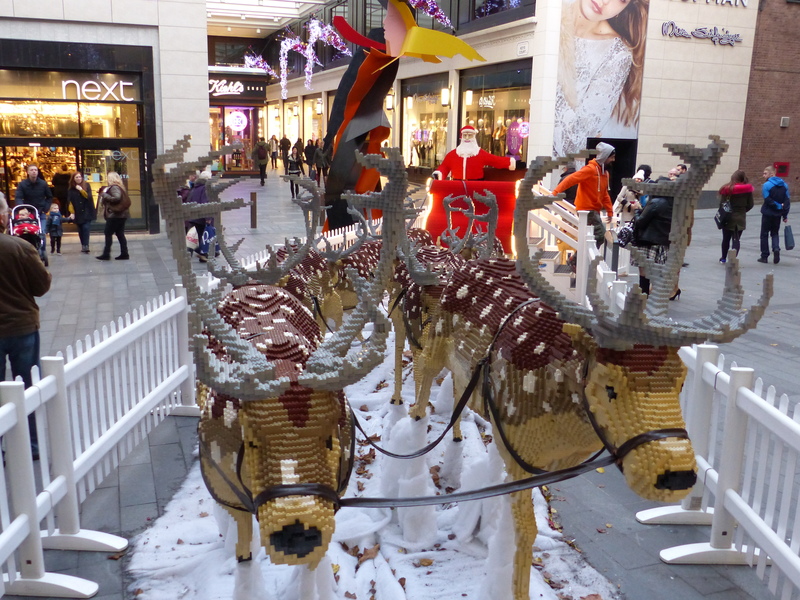 About a lucky man who made … a trip to Liverpool, that added to the lucky travels he has already done. His wife was with him and she felt pretty darn lucky too. Pretty hootin’ tootin’ lucky, every single day!